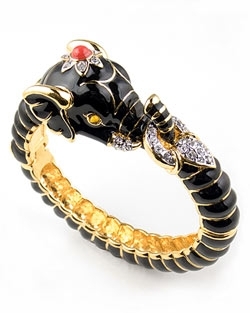 Black enamel elephant cuff bracelet by Kenneth Jay Lane. This stunning bracelet features a coral bead and Swarovski crystals detail to head, tusks and tail. 6cm / 2.5" diameter.